Warm air settles under ceiling forcing down colder air making work areas drafty and cold. 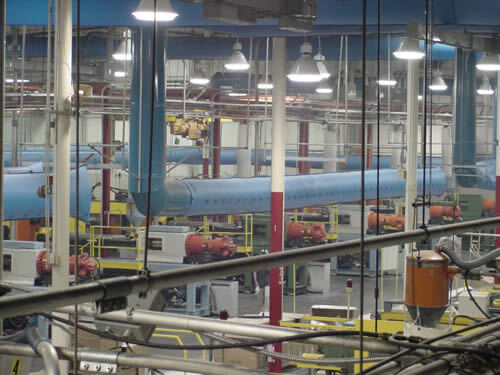 Heat consumption rises as workers turn up the thermostat to try to get warmer. 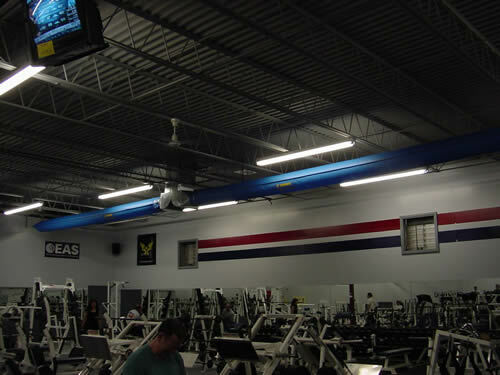 Open doors and bays cause cold air to be sucked into the main work area forcing any warm air available up to the ceiling. 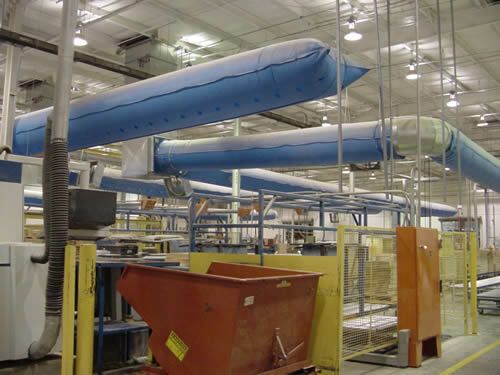 AIRMAX ducting provides even air distribution and circulation to interior areas of factories, warehouses, stadiums, and gyms. 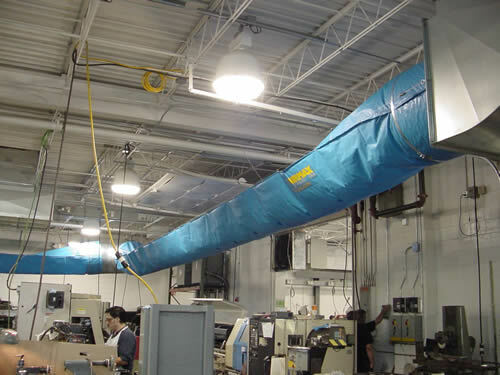 AIRMAX ducting can attach to existing diffusers for efficient heat control and distribution. 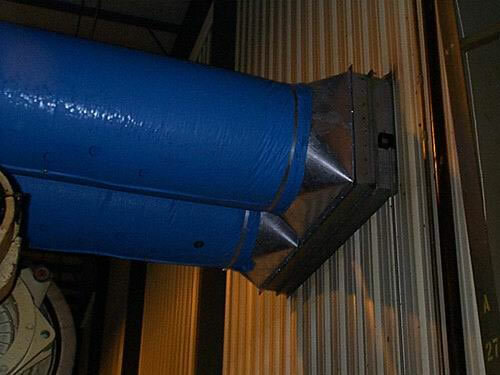 Heat recovery systems capture waste heat from machinery, lights, etc. and move it to other areas of the building. 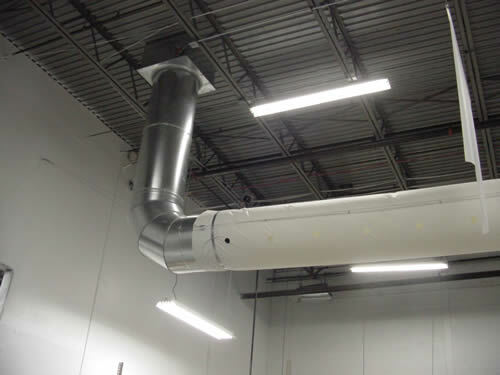 AIRMAX ducting is lightweight and can be installed without any major production disruptions.